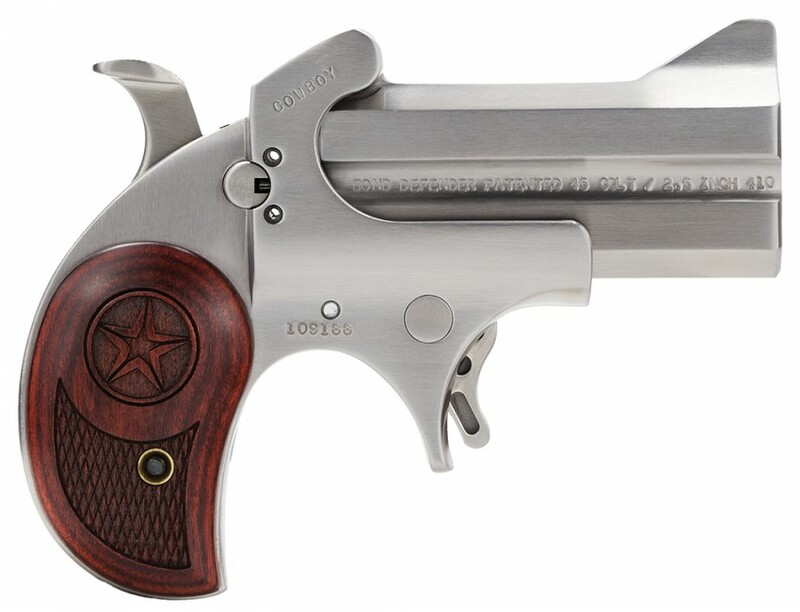 The Cowboy Defender by Bond Arms was designed for Cowboy Action Shooting and to be the most compact concealed-carry 410 shotshell protection available. 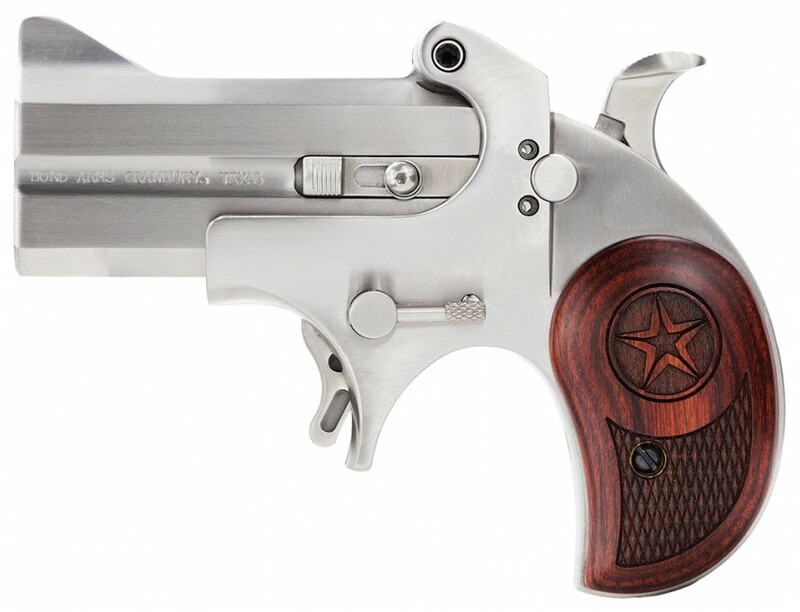 This derringer is available in 45 Colt (LC)/410 gauge, and it's compatible with all Bond Arms interchangeable barrels. The spring-loaded cammed locking lever allows for a tighter barrel/frame fit and rapid loading and unloading. 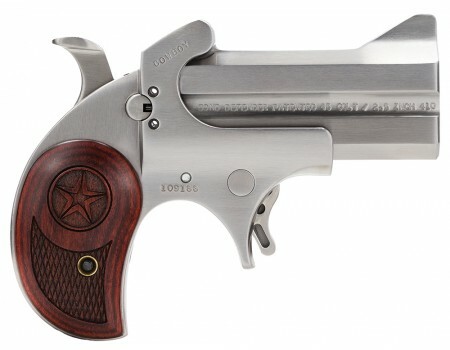 The Cowboy Defender features a cross-bolt safety and laminated rosewood stocks. This model does NOT have a trigger guard.